Ofeibea Quist-Arcton is a journalist and broadcaster from Ghana who reports for NPR News on issues and developments related to West Africa. She spent her early years in Ghana, Italy, Britain and Kenya. Quist-Arcton has lived and worked in the U.K., France, Ivory Coast, U.S., South Africa and most recently Senegal, traveling all over Africa as a journalist, broadcaster, commentator and host. After completing high school in Britain, she took a degree in French studies with international relations and Spanish at the London School of Economics (LSE) and went on to study radio journalism at the Polytechnic of Central London, with two internships at the BBC. Quist-Arcton joined the BBC in 1985, working at a number of regional radio stations all over Britain, moving two years later to the renowned BBC World Service at Bush House in London, as a producer and host in the African Service. She traveled and reported throughout Africa. She spent the year leading up to 1990 in Paris, on a BBC journalist exchange with Radio France International (RFI), working in "Monito" — a service supplying reports and interviews about Africa to African radio stations, and with RFI's English (for Africa) Service as a host, reporter and editor. Later in 1990, Quist-Arcton won one of the BBC's coveted foreign correspondents posts, moving to Abidjan, Ivory Coast, to head the corporation's West Africa bureau. From there, she covered 24 countries, straddling the Sahara to the heart of the continent — crisscrossing the continent from Mauritania, Liberia, Sierra Leone and Mali, to Zaire and Congo-Brazzaville, via Chad, Equatorial Guinea and Cameroon. 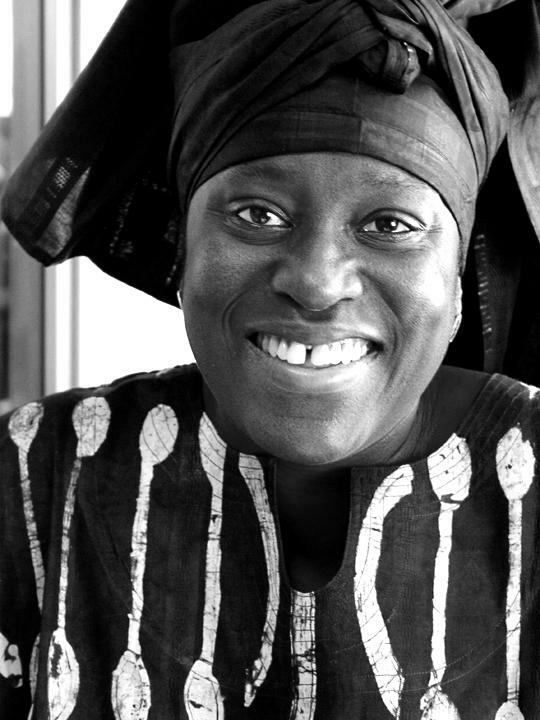 She contributed to all BBC radio and television outlets, covering the flowering of democracy in the region, as well as the outbreak of civil wars, revolutions and coups, while always keeping an eye on the "other" stories about Africa that receive minimal media attention — including the continent's rich cultural heritage. Quist-Arcton also contributed to NPR programs during her reporting assignment in West and Central Africa. After four years as BBC West Africa correspondent, she returned to Bush House in 1994, as a host and senior producer on the BBC World Service flagship programs, Newshour & Newsday (now The World Today), and as a contributing Africa specialist for other radio and TV output. Quist-Arcton laced up her traveling shoes again in 1995 and relocated to Boston as a roving reporter for The World, a co-production between the BBC, Public Radio International (PRI) and WGBH. She lived in Cambridge and enjoyed getting to know Massachusetts and the rest of New England, learning a new language during winter, most of it related to snow! For The World, she traveled around the United States, providing the program with an African journalist's perspective on North American life. She also spent six months as a roving Africa reporter, covering — among other events — the fall of President Mobutu Sese Seko in Zaire (now the Democratic Republic of Congo) in 1997. In 1998, after another stint back at BBC World Service, Quist-Arcton was appointed co-host of the South African Broadcasting Corporation's flagship radio drive-time show, PM Live, based in Johannesburg. In 2000, she left the BBC to join allAfrica.com (allAfricaGlobal Media) as Africa correspondent, covering the continent's top stories, in all domains, and developing new radio shows for webcast and syndication to radio stations around the continent. After six years in South Africa, Quist-Arcton joined NPR in November 2004 at the newly-created post of West Africa Correspondent, moving back to her home region, with a new base in Senegal. Her passions are African art and culture, music, literature, open-air markets, antiques - and learning. She loves to travel and enjoys cycling and photography. 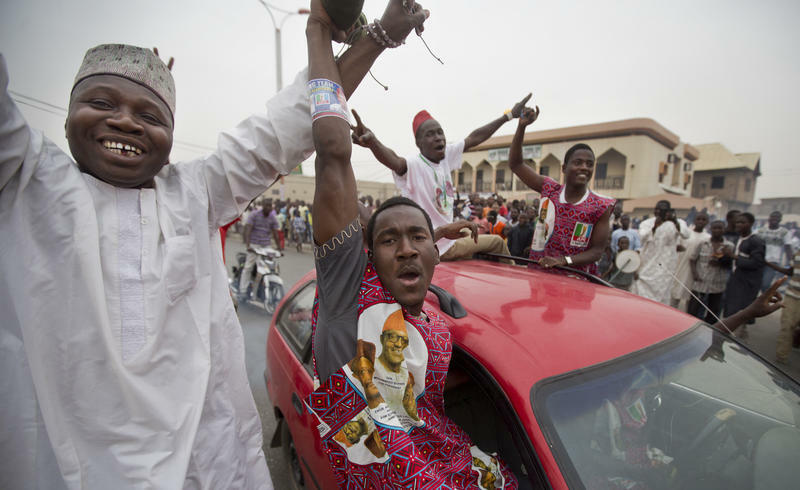 In the middle of the night, after a long day waiting for election results on Tuesday, supporters of former military leader Muhammadu Buhari took to the streets of Abuja to celebrate his historic victory in Nigeria's presidential election. Many were chanting, "Change" and carrying traditional brooms, the symbol of Buhari's party. Jubilant supporters, men and women, were sweeping the ground and the air, saying their leader would sweep out corruption and the extremist group Boko Haram in Nigeria and sweep in order and rule of law. In its latest video, Islamist extremists from the Nigerian group Boko Haram display the bodies of two men accused of spying. They have been beheaded. Gone are Boko Haram's occasional grainy videos, replaced by slick productions apparently inspired by the self-proclaimed Islamic State. It's a development that may indicate a shift in allegiance by Boko Haram away from al-Qaida. Would you kindly bear with me a little while I have a good old moan, please? I'm feeling rather wretched. No, not because I've finally kicked a lingering lurgy that turned out to be bronchitis and stole my voice. But because one of the reasons I blame for the illness is back: the Harmattan. 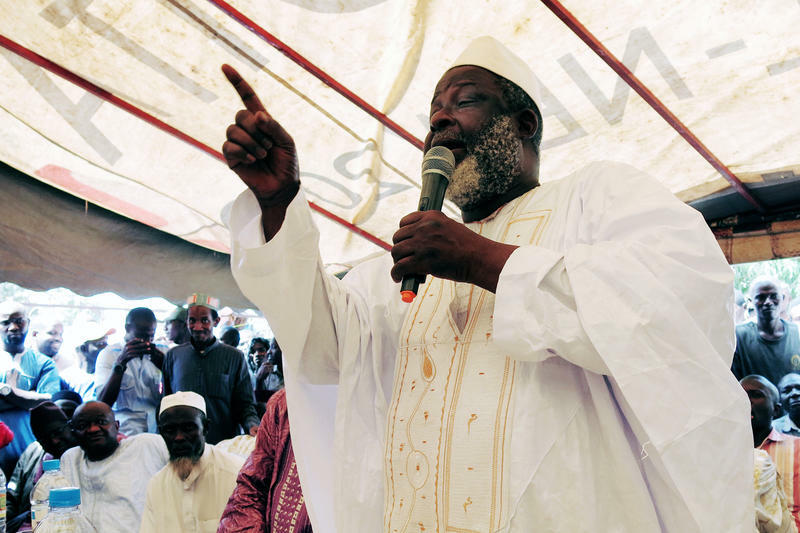 "Ebola — you have to do more," roars the barrel-bellied cleric El Hadj Mamadou Saliou Camara, with his white beard and mustache, in a snow-white boubou, the traditional flowing gown of West Africa. That's the message he delivered over the weekend to hundreds of his fellow clerics, who gathered in Kindia, the third largest city in Guinea and a major crossroads. 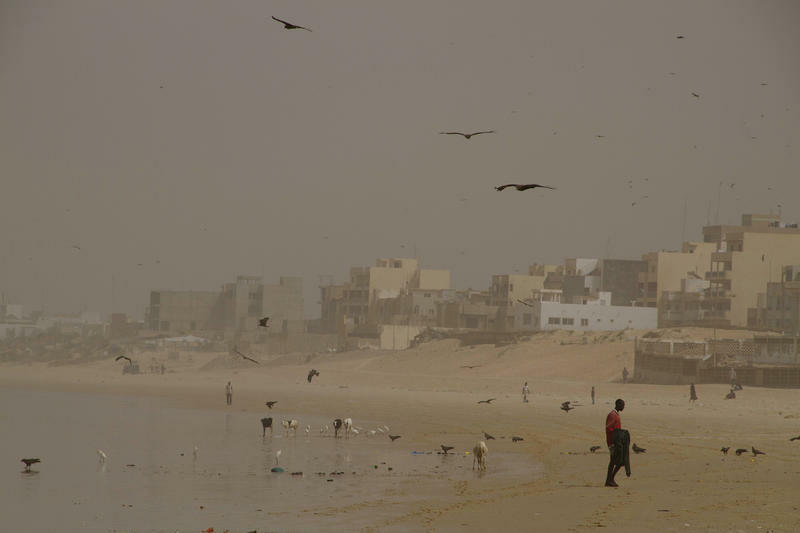 Many of the residents still blame Westerners for bringing the virus to their country. Red, gold and green – Guinea's national colors — filled the streets of the capital, Conakry, early this morning. Guineans of all ages proudly wore the colors on their T-shirts, headbands, dresses and shorts. Children, with their cheeks and foreheads painted, ran around the street cheering, blowing whistles and waving their nation's flags. But by 3 p.m. the streets were dead. At the crack of dawn, the Sow family — parents and four children, two girls and two boys — are up at their home in Conakry, Guinea's capital. Sitting on a wooden stool, Aissatou Sow bends over to light a gas stove on the floor and heat up a breakfast of fried fish, vegetables and french fries, plus hot milk and fruit. El Hadj Alhassane is 11; his sister Hadja is 6. They're off to school after being out of class for six months. Big bro helps little sis zip up her backpack, and they head out the door into their dad's car. Hundreds of spectators and government officials watched as music and fanfare filled the People's Palace in Conakry, Guinea. Cheerleaders danced vigorously, waving pompoms and twirling on stage. 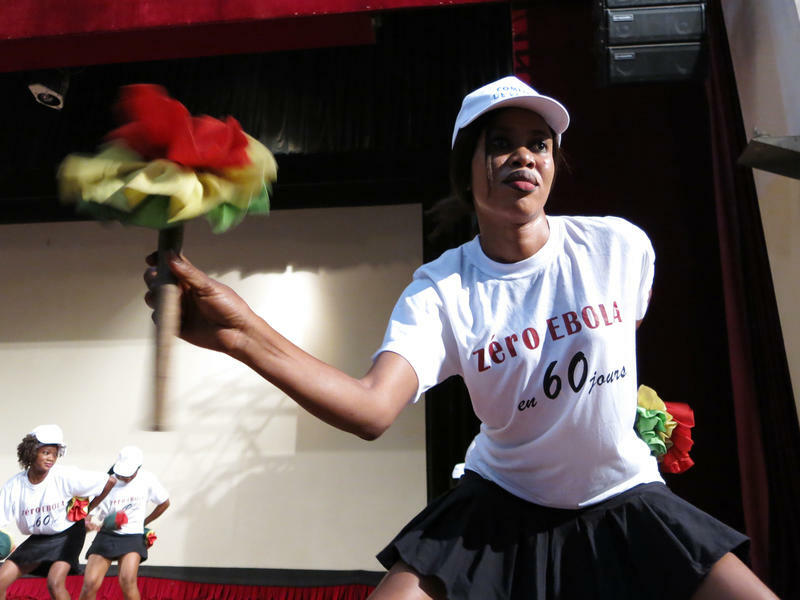 The festive event on Saturday kicked off the government's newest campaign: zero Ebola cases in 60 days. 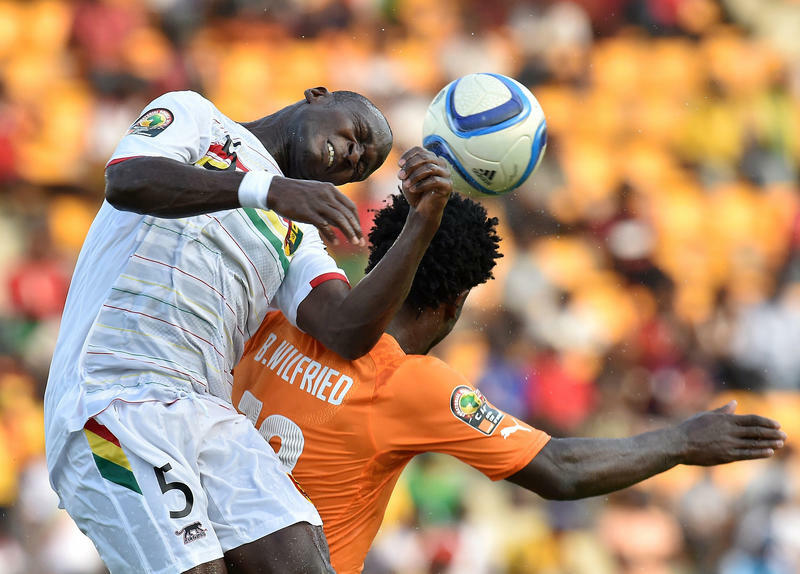 "Guineans talk too much. People resist even the idea that Ebola exists," said the prime minister, Mohamed Said Fofana, when he took the stage. "Why do we refuse to accept what others have accepted? We really must get a grip on the situation." 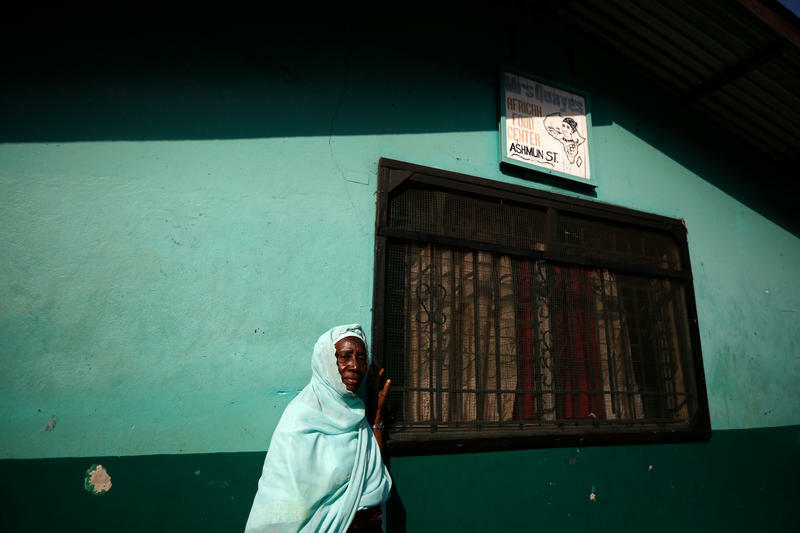 She is one of the African health workers who caught Ebola and died. Dr. Ameyo Adadevoh was the head of First Consultants Medical Centre in Lagos, Nigeria. 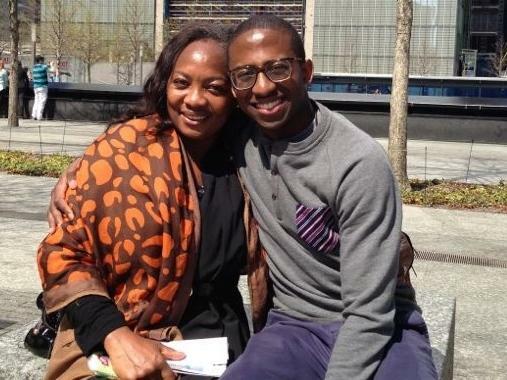 In July, Liberian-American Patrick Sawyer flew sick to the city from Monrovia, ended up at her clinic and turned out to have Ebola. He wanted to leave. Dr. Adadevoh and her team refused to let him go — if she had, he could have triggered a wide-scale epidemic in Lagos, a city of 20 million people. Dr. Ada Igonoh says her faith and ORS (oral rehydration salts) helped her pull through after she tested positive for Ebola. 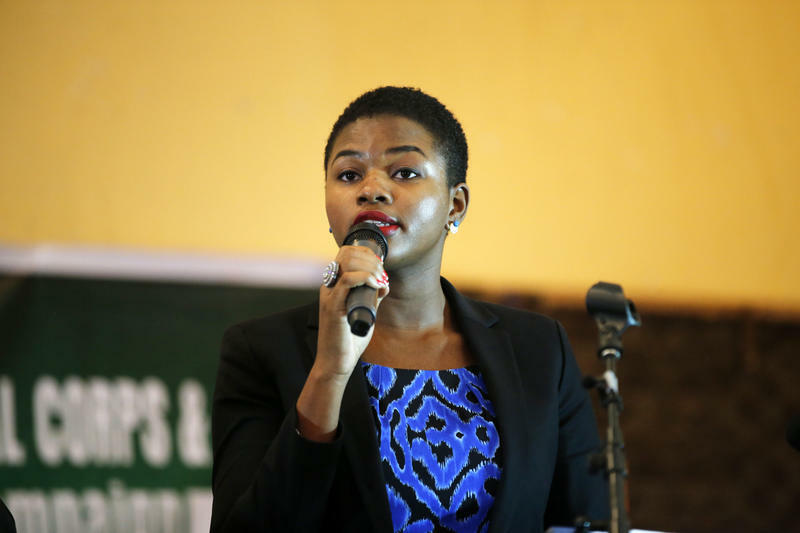 The 28-year-old Nigerian doctor was on the medical team that cared for the country's first Ebola patient, Patrick Sawyer, a Liberian-American who flew into Lagos sick and died at the clinic where she worked. Nigeria was hailed for halting what many feared could have been a catastrophic outbreak. Dr. Igonoh shares her story of fear, faith and recovery. Tell me a little about yourself. Florence Allen Jones used to teach in Washington, D.C., before coming back home to Liberia. Now she's part of the education ministry's teaching-by-radio team. 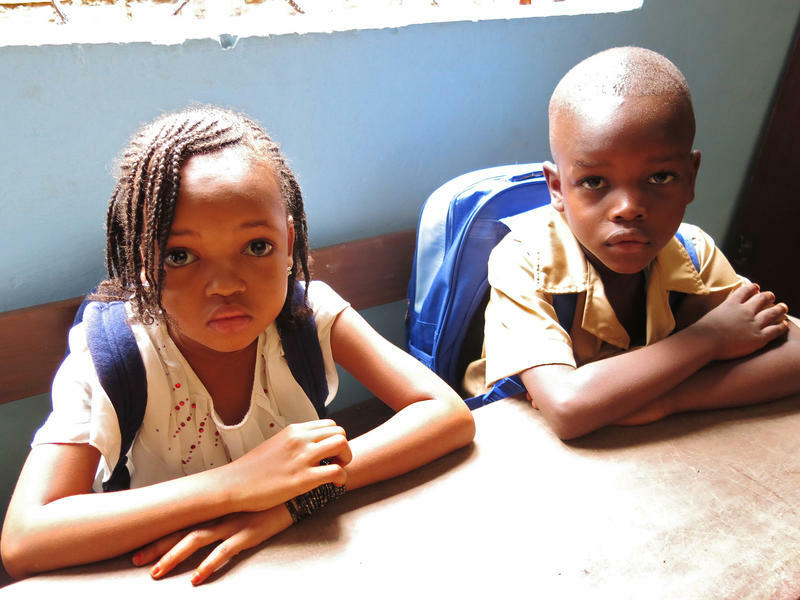 Working with UNICEF and another nonprofit, Talking Drum, in Monrovia, the capital of Liberia, the government aims to provide lessons to children across the country, hit by the Ebola outbreak. Most schools closed this past summer and will likely remain closed for months. 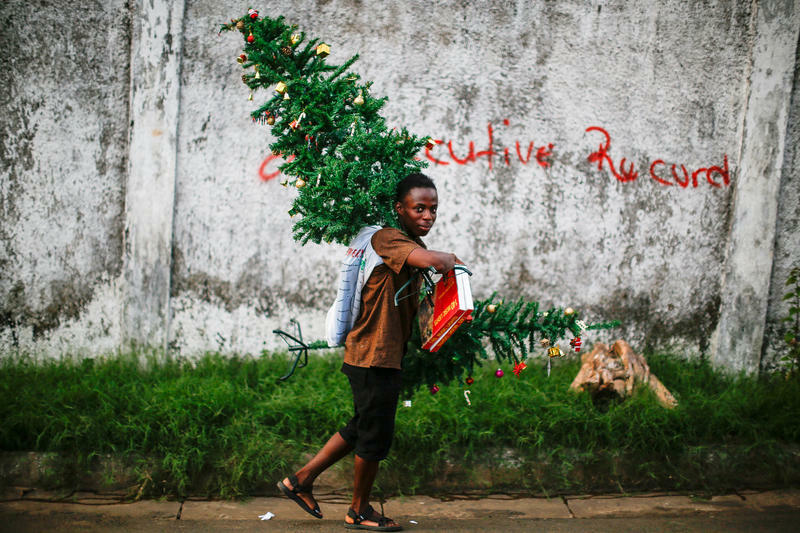 Ebola has cast a shadow over Liberia, but it can't stop Christmas. 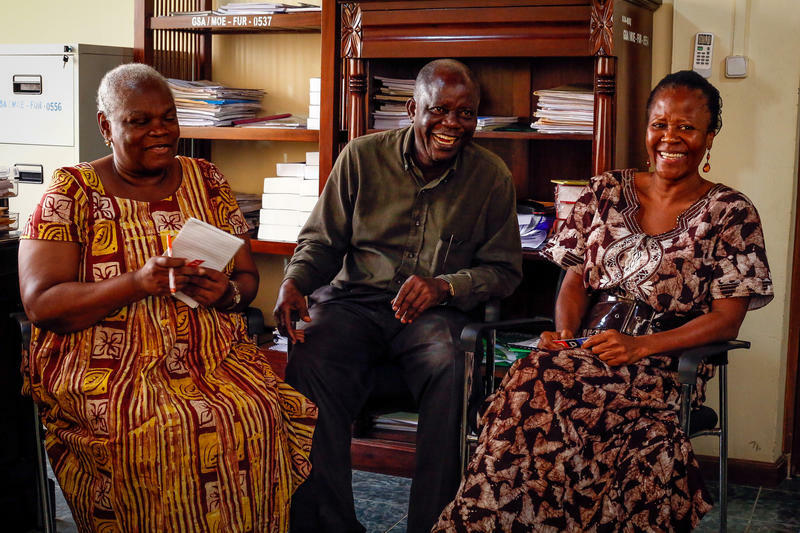 Despite the trauma of the past year, Liberians are trying to have a happy holiday season. Carols are playing on the radio and there's lots of decorating — and painting — going on. "At a certain time of the year we want our homes to look good," says journalist Siatta Scott Johnson. "It's like a competition in Liberia when it comes to the festive season." Ganta is the Liberian city that never sleeps. That's what local businessman Prince Haward says of the town of 40,000, one of the country's largest cities and a crossroads for travelers in the southeastern region: "Ganta is a nonsleeping city ... a business-oriented city." Just off Tubman Boulevard — Monrovia's busy main thoroughfare — stands a plywood hut with a large blackboard at the front, in three panels. On them — written in clear, bold white chalk lettering — is a form of newsreel: mini-articles and editorials, as well as graphics and illustrations. The creator of Daily Talk — this Liberian journal with a difference — is Alfred Sirleaf. He's 41 and has been "writing" the news since 2000, three years before the civil war ended. 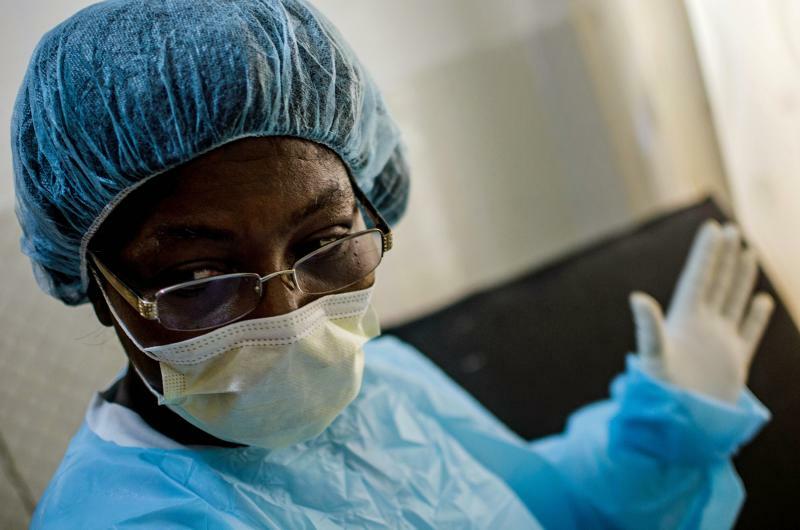 Ebola Cases Are Down, So Should Liberians Stop Worrying? 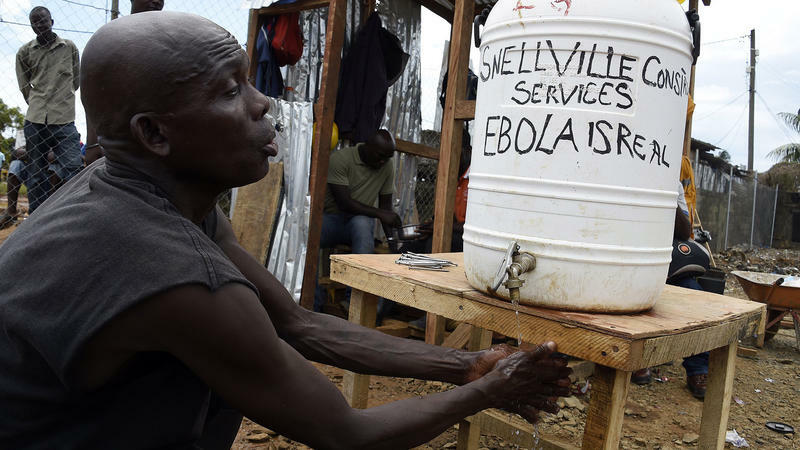 For months, Liberia was the country worst-hit by the Ebola outbreak. But the wards in Liberia's Ebola treatment units now stand virtually empty. The number of newly reported cases fell from almost 300 cases a week in mid-September to fewer than 100 by mid-October. But that doesn't mean it's time to take it easy. In fact, Liberian President Ellen Johnson-Sirleaf has just announced a new campaign, Ebola Must Go, which focuses on the role of the community. Ebola has had a brutal impact on the economies of three West African nations at the epicenter of the outbreak. In Liberia, the World Bank has more than halved projected growth for the nation, compared to what they predicted before the epidemic. Ebola has killed more than 3,000 people in Liberia and, at the height of the outbreak, closed shops, businesses and offices. As the situation eases, many have now reopened — but it's still tough going. Copyright 2014 NPR. To see more, visit http://www.npr.org/. 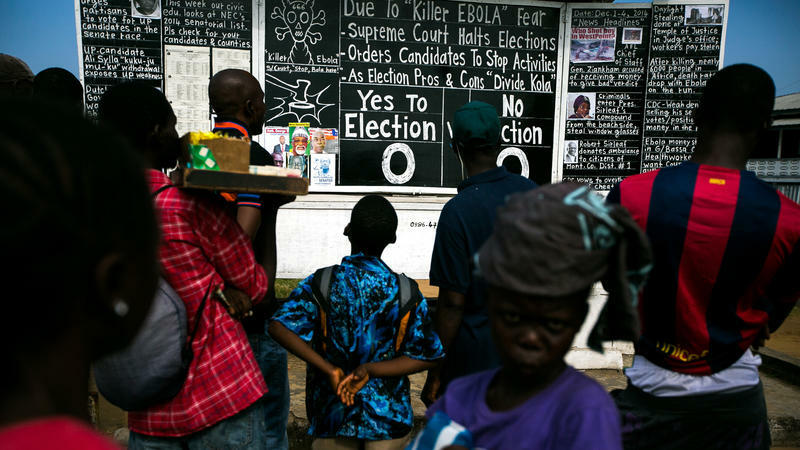 Liberians have been gripped by crisis after crisis. 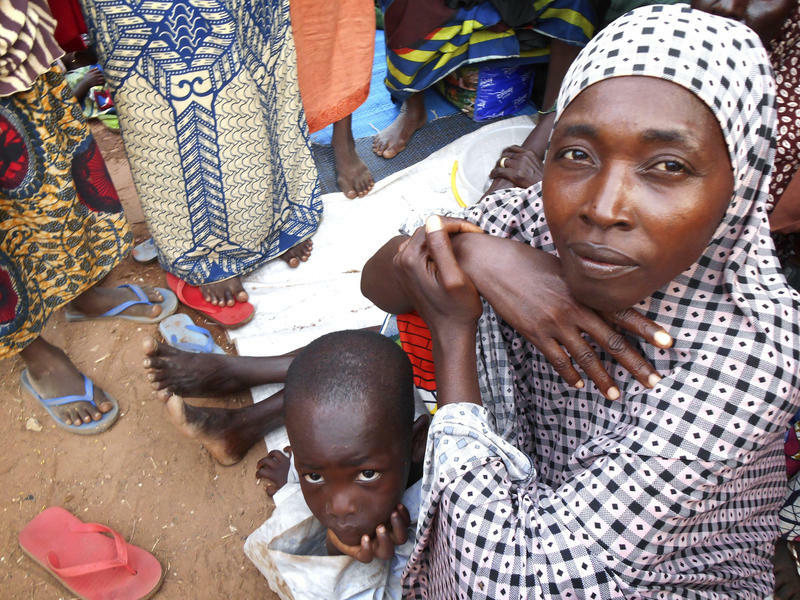 A long and brutal civil war shattered the West African country and now Ebola. But NPR's Ofeibea Quist-Arcton has been looking into another far lighter side of life in that country - fashion. 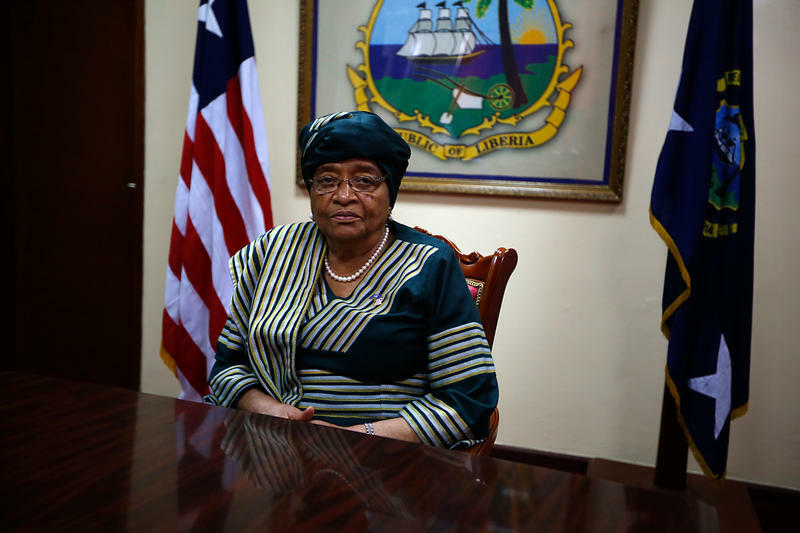 Liberian President Ellen Johnson-Sirleaf hopes to ring in the holidays with an ambitious goal: no new cases of Ebola in her country by Dec. 25. "We believe we had to set a target that gave our people hope, a target that would make them more committed to taking all the precautionary measures," she says. "Yes, it's called ambitious, but sometimes you have to take a risk in being ambitious." 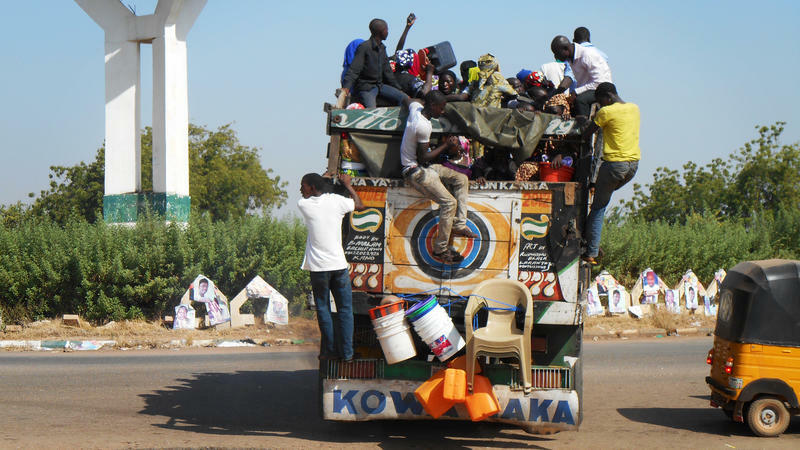 As Nigeria's military continues to battle Boko Haram fighters for control of towns and territory in the turbulent northeast, fearful residents are leaving — or being driven out of town. More than 200 schoolgirls, abducted by the Islamist extremists in April, are still missing. Hoisting the black flag of al-Qaida, the insurgents have imposed strict Islamic law in areas under their control, vowing to establish a caliphate. Hopes were raised when the Nigerian military announced a cease-fire last month with the militants of Boko Haram, who have been fighting for years to impose Islamic law on Nigeria. But the Islamist extremists denied there was a truce and have intensified deadly attacks and kidnappings in recent weeks, seizing territory said to be the size of Maryland and declaring a caliphate in the zone under their control. 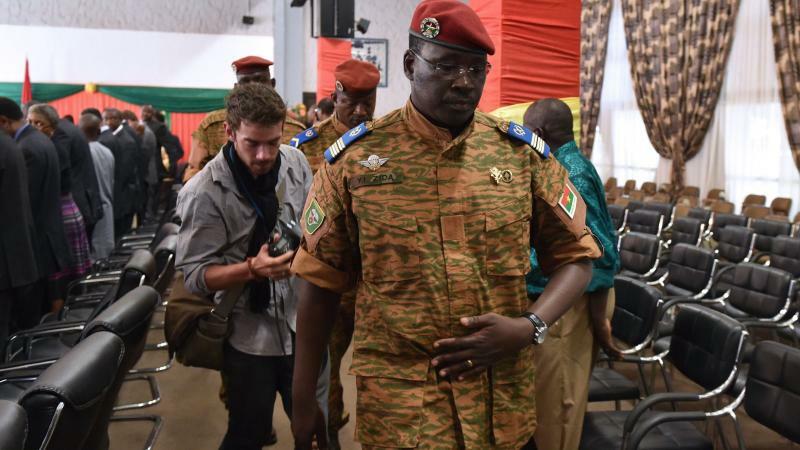 The African Union has given the new military authorities in Burkina Faso two weeks to hand power back to civilians, or face sanctions. This follows the abrupt resignation of the president last week, after days of street protests opposed to him trying to prolong his 27-year rule. Lt. Col. Isaac Yacouba Zida, from the elite presidential guard, is the new interim military leader after a brief power struggle within the army. Have you ever swallowed unflavored rehydration solution, or ORS? That's what they call the mixture of salt, sugar and water given to Ebola patients. I've taken more than a mouthful, and urgh! It tastes dreadful. 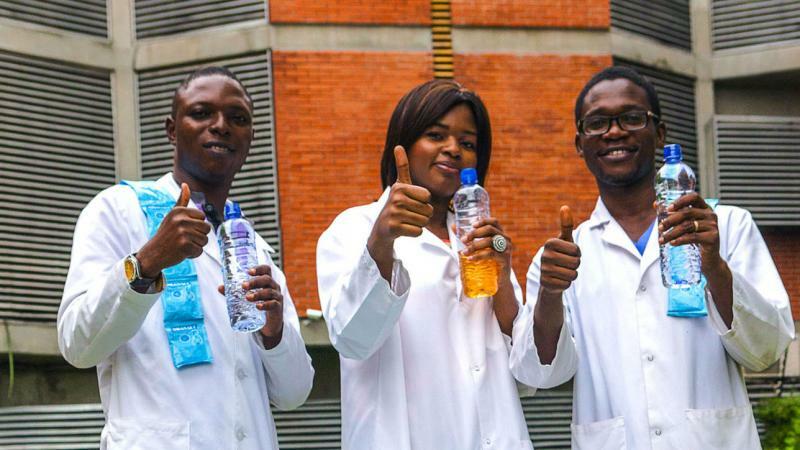 But doctors who were among Nigeria's Ebola survivors all agree that they may not have recovered from the virus without having forced down the foul-tasting, but apparently life-saving fluid. Copyright 2017 NPR. To see more, visit http://www.npr.org/. 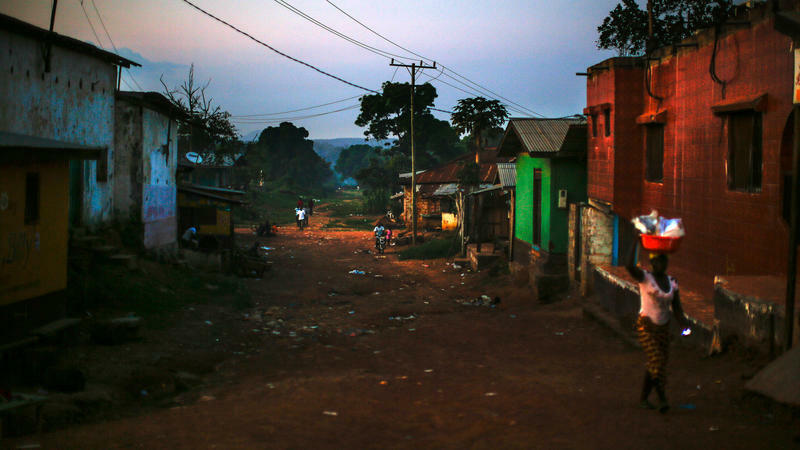 As U.S. troops begin arriving in Liberia to help contain the regional spread of Ebola, a physician in the capital is grappling with the virus upfront. Dr. Martha Zarway's life turned upside down when one of her clinic staff members — a friend — died on Sept. 2 amid rumors that the cause of death was Ebola. Harrison Sakilla, a 39-year-old former teacher, can't stop smiling. "I have to smile," he says. 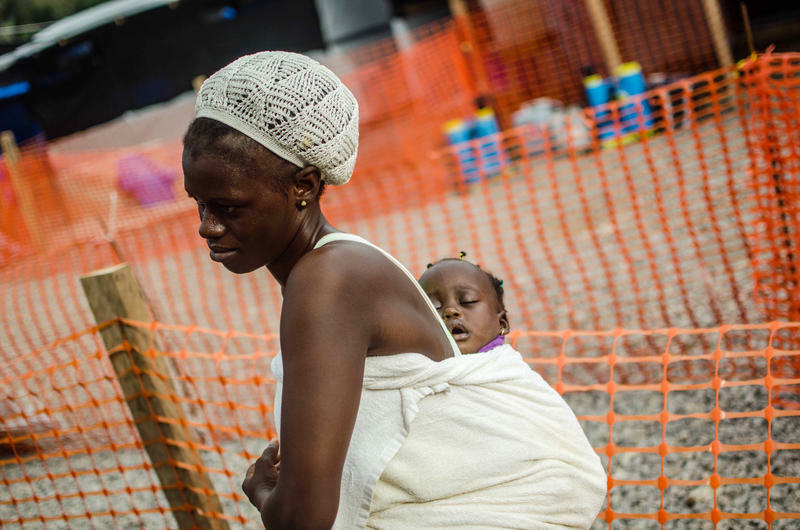 "I'm the first survivor for the case management center here from Ebola." Former patients like Sakilla, who've recovered from the virus, lift the collective spirit at at the Doctors Without Borders Ebola center in Liberia's northern town of Foya. He was admitted to the high-risk isolation unit, which is part of a cluster of large tents that make up the bulk of the center.